The Marge Carson Designer Event Has Arrived! Throughout the entire month of August take advantage of spectacular savings on the largest in-stock selection of Marge Carson in Houston! 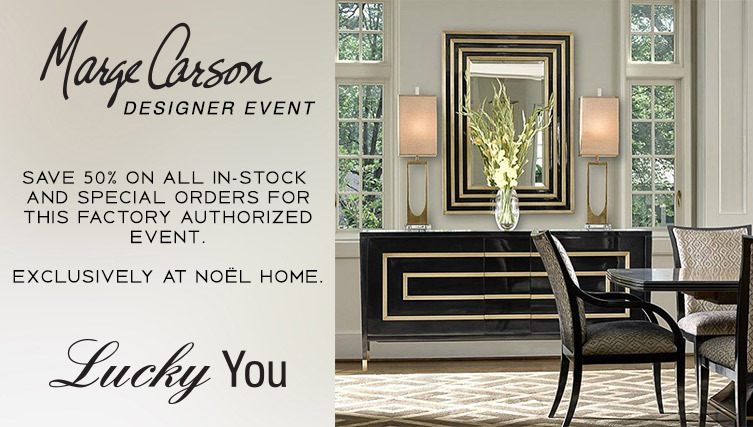 Noel Furniture’s presents The Marge Carson Designer Event. Save 50% off retail on all in-stock Marge Carson home furnishings. Our talented design team can also assist in finding you the perfect look for your individual style. Visit our showroom today at 2727 SW Freeway located on 59@Kirby.